Buying holiday gifts for everyone on our list is fun, but only when you have the budget! For many of us, the thought of buying enough gifts for our families and friends has us in a financial panic. Instead of spending all you have (and eating ramen noodles all January), why not save some dough while still giving everyone a gift with this fun holiday craft? 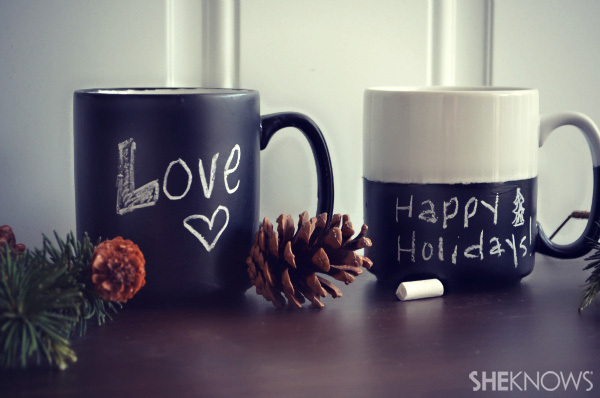 This tutorial makes four amazing chalkboard mugs, which is four less gifts you need to buy! These mugs are absolutely adorable and are things you’d see at Anthropologie. However, you can make them for about $25 and a few hours time. Not only are these cuter than the same old scarf or tie you always buy, they come from the heart. No better way to say happy holidays! 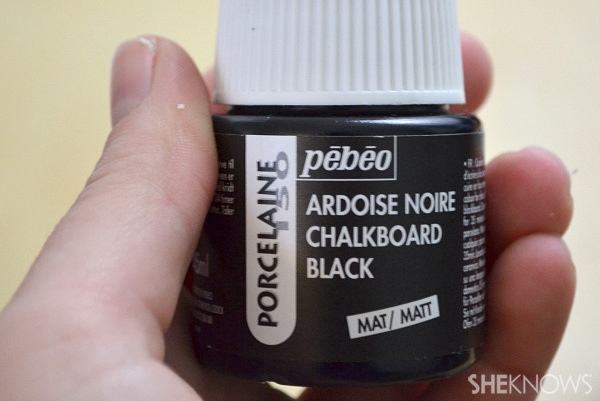 Plus, how trendy are chalkboards now anyway? 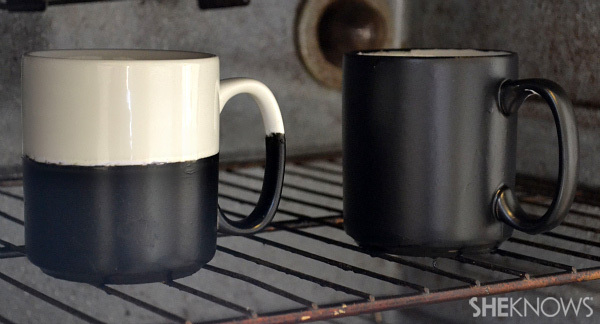 *If you are going to paint the entire mug, skip this step. 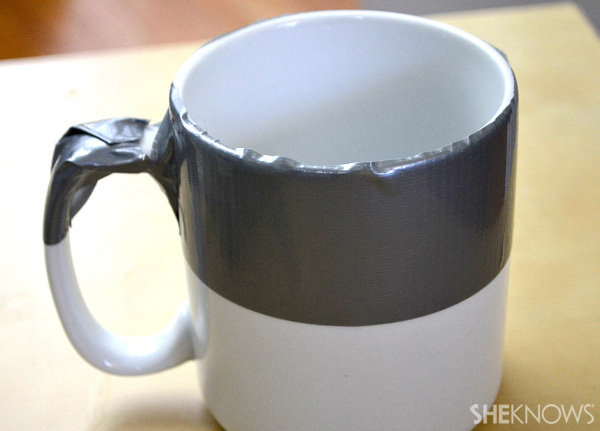 If you only want to paint half the mug, carefully divide the mug in half with tape. Press the tape down tightly so no paint seeps up. 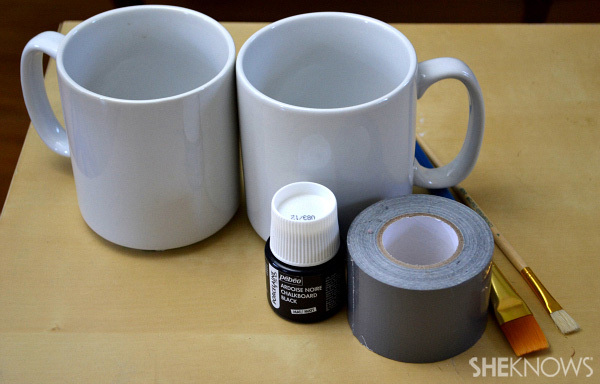 *If you are painting the whole mug, do this now. 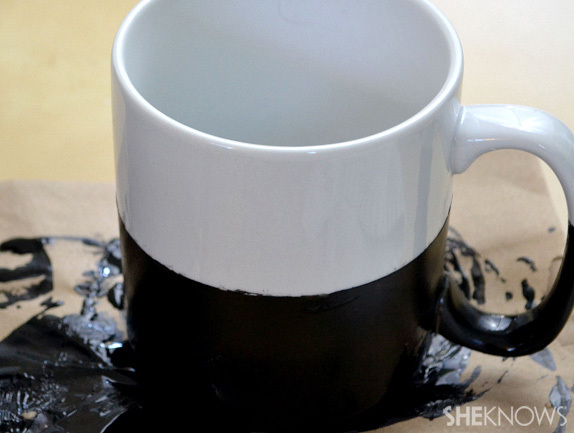 Be sure to wipe away any drips inside of the mug while the paint is wet. 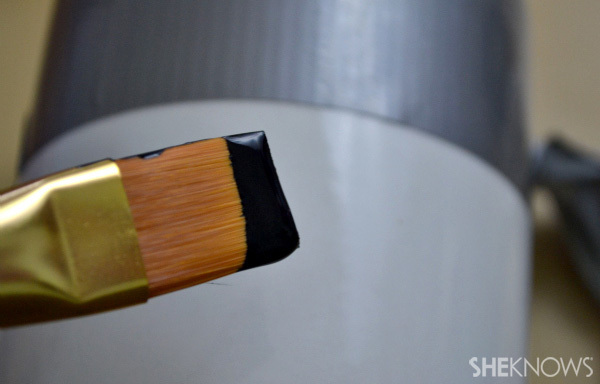 If you are painting half the mug, do so carefully with a wide-angle brush. Once you are done painting, carefully remove the tape. Let the mugs sit in a dry place for at least four hours (or overnight if the mugs are completely painted). Once dried, preheat oven to 300 degrees F.
Bake mugs for about 35 minutes. Baking the mugs will ensure the paint is dishwasher and microwavable. Once mugs have baked, let sit in the cool oven until dry. 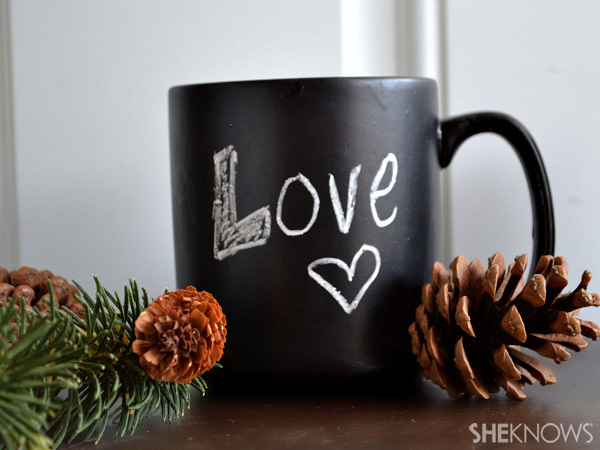 Let your imagination go wild and decorate the mugs to your heart’s content! When giving these as gifts, pack them with chalk so the receiver can play immediately!